Apples and Oranges Music is a production music company and library of the highest caliber. One listen to our work and you will see why comparing us to other production music companies is like comparing Apples and Oranges. 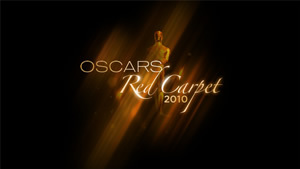 Apples & Oranges Music is delighted to have provided the music for the "Oscars® Red Carpet 2010" on ABC. It was a privilege to have worked with The Academy of Motion Picture Arts and Sciences, Seligman Entertainment and Jeff Margolis Productions in making this year's show a huge success. Drama, comedy, fashion, and the hottest stars all collided on the red carpet for Hollywood's Big Night to the music of A & O. The newest release from the A&O library is the beyond-epic-sounding Trailer Music. This monumental CD is loaded with colossal percussion, soaring strings, intense choirs and cutting-edge modern elements as well. With this release we have, yet again, raised the bar in terms of our writing and production values. Take a listen here and experience it for yourself. The new release from the A&O library is the undeniably mammoth-sounding Modern Metal. This energetic CD contains hellish guitars, angry drums, sick synths and dark loops and will push your picture right over the top, guaranteed. You can read more about these CDs here and listen to samples of them here. ©2008 Apples & Oranges Music. All Rights Reserved.